This probably will make you green with envy. Heh. Sorry, I had to do that. You'll probably think it's too cold for such icy food right now, but hey, it will cause you no harm. And believe me, this will be worth it. 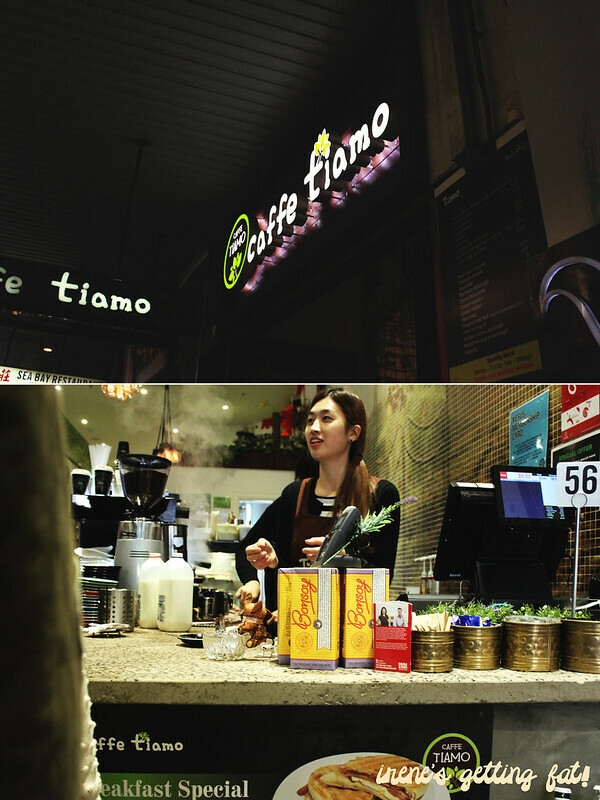 Besides, Caffe Tiamo on Pitt St is warm enough to shelter you from this chilling-to-the-bone weather, and apparently they have nice hot drinks as well. I am actually quite impressed about how the little place is arranged. Cute decorations and props are scattered all around the place, including colourful books, little lamps, little plant pots, and some vintage-looking pieces. 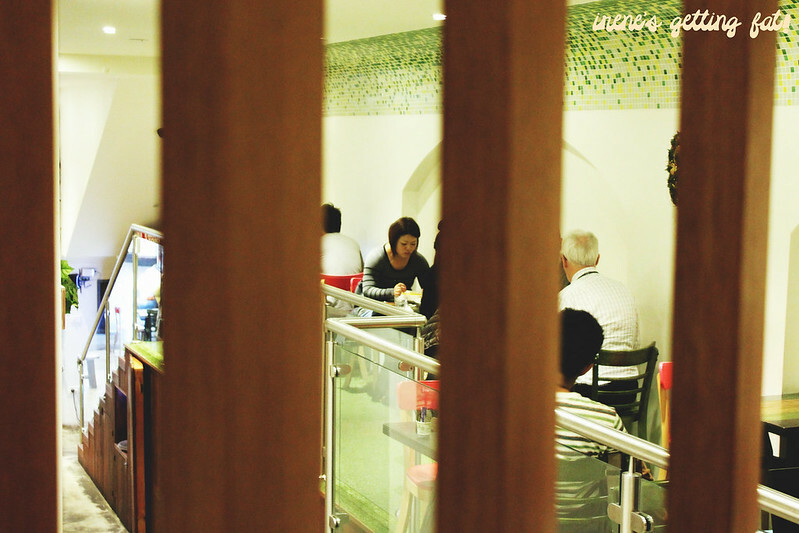 They manage to create distinctive dining setting with upper and lower seating spots, as well as a hidden table in a crook at level 2. The colours used emit such a warm and friendly ambiance, keeping you feeling warm and comfortable from the first sip of your drink to the last drop. This is a great place to sit down and do some work with your laptop while having a cup of hot chocolate (or coffee, or matcha latte if those are more appealing to you). Their backyard-slash-garden seating also looks seriously comfy, especially when the wind isn't too fierce and the temperature increase a few degrees. At night the place looks even more romantic with twinkling and colourful lights. I was there in a group of seven, and we were looking for something sweet and cooling after an exciting and delicious lunch. 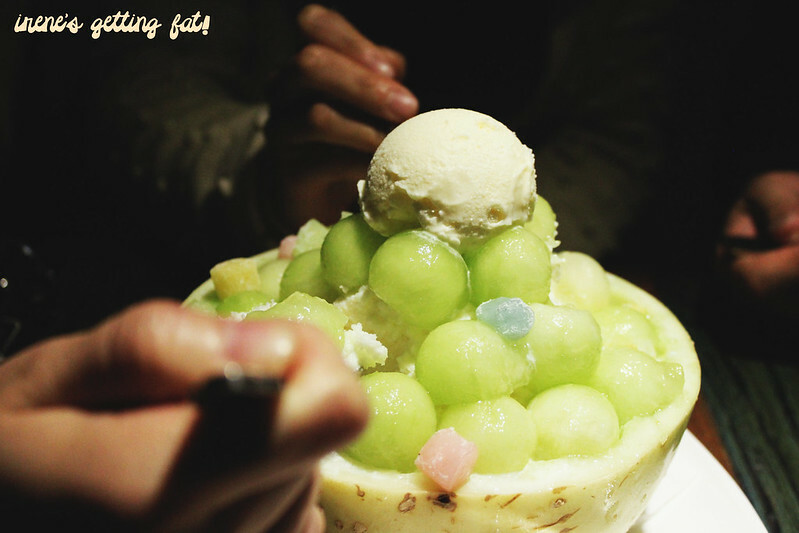 Melon bingsoo was chosen, based on the other 6 people's fav. Apparently I was the only one who hadn't visited the place yet. 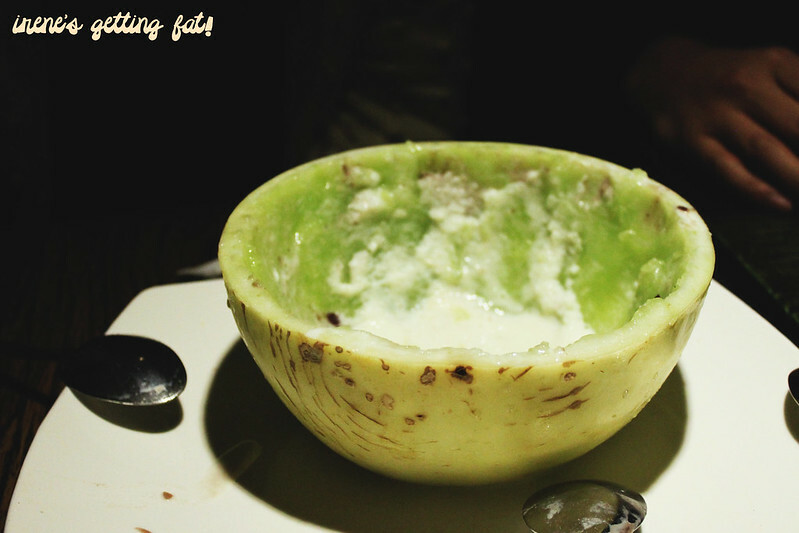 It was literally a half of a melon (or honeydew, or musk melon) filled to the brim and more with delectable things. The melon's flesh was scooped into little balls and placed ever so neatly (and beautifully) to cover milky shaved iced under. To make it interesting, small pieces of mochi sat among the melon balls, and to top it off there was a scoop of vanilla ice cream. The whole thing was served with a generous dollop of red bean. I really love the various textures combination. The shaved ice was flaky, milky, and not too sweet. The sweetness came mostly from the melon balls, and also the creamy ice cream. Chewy mochi pieces were fought for, as they went really well with their other softer fellows. It had great level of sweetness, and plus, we could even still scraped some melon flesh from the melon bowl. Definitely a dessert to share. Unless if you are confident that you can finish the whole mountain by yourself. 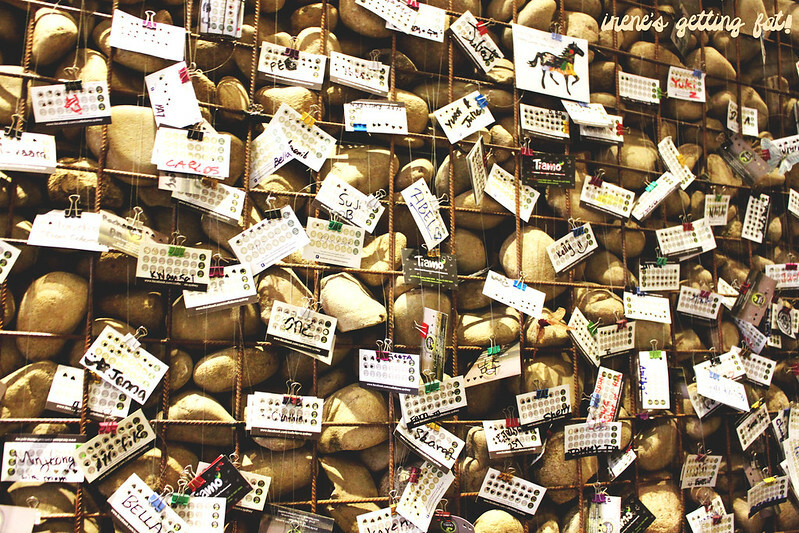 Just after the entrance there is a wall full of small brown patches with random card clipped on. They look like coupon cards but I can't be sure. But it is unique and eye-catching for sure. 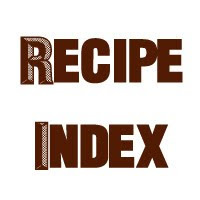 Note that this is based on a visit and a menu/dish only. 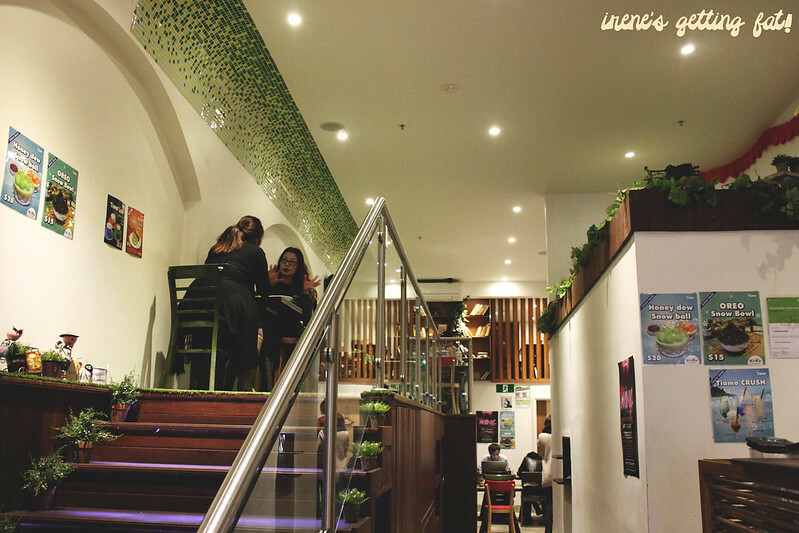 Melon bingsoo was really nice, ambiance and the place overall was very comfy and casual. 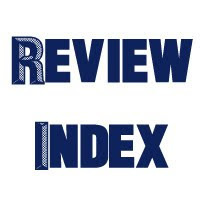 Service was friendly and quick, price is affordable. The green with envy line was a melon of a joke. That was awful....but you're the only one that's going to read that line anyway haha. I've been here once, only for a drink though! I haven't even tried their drinks haha. Keen to try some! 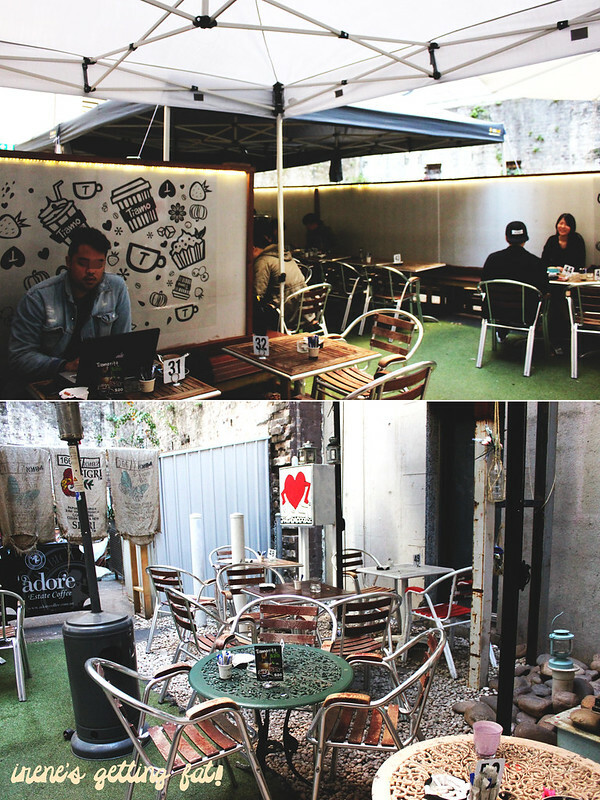 Such a hidden gem right in the CBD. How can I not have known. 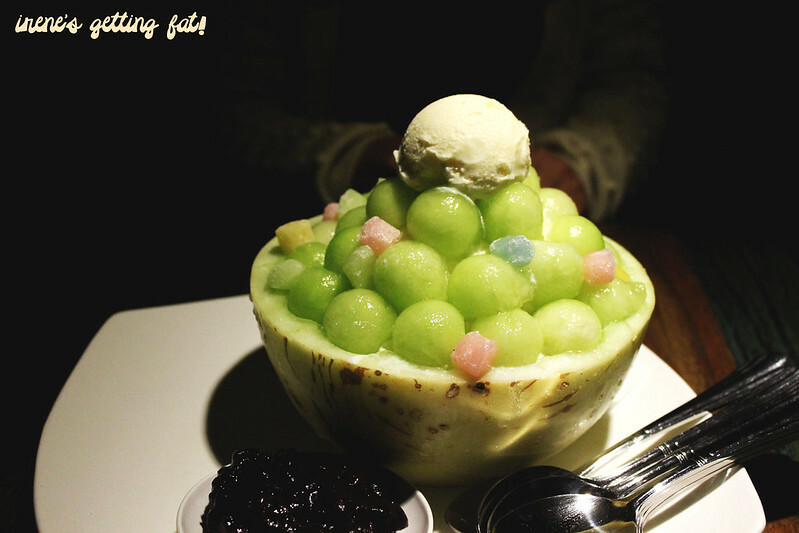 Super keen to try the Melon bingsoo! I know right. If my friends hadn't told me I wouldn't have known either. 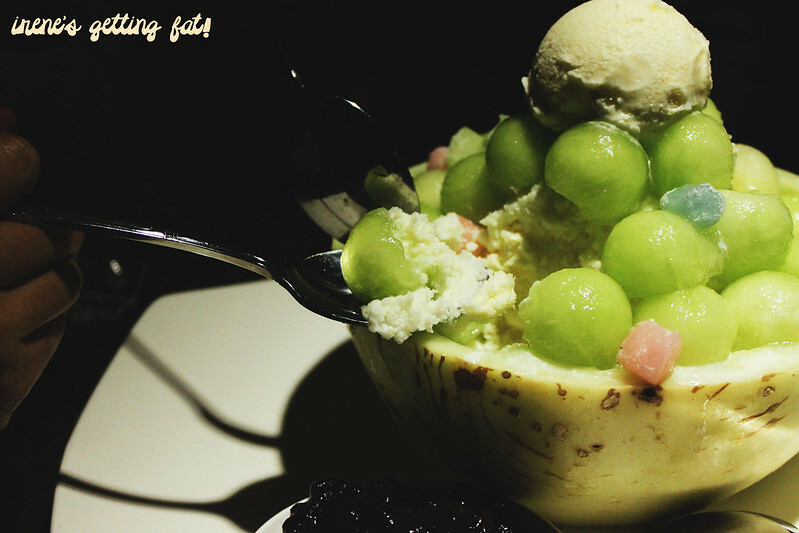 The melon bingsoo is definitely different to most other dessert menus in the city! Agreed! And it's so good too! Definitely worth the try. love the sound of this, esp with all that mochi! There you go. I bet you'll love this one! 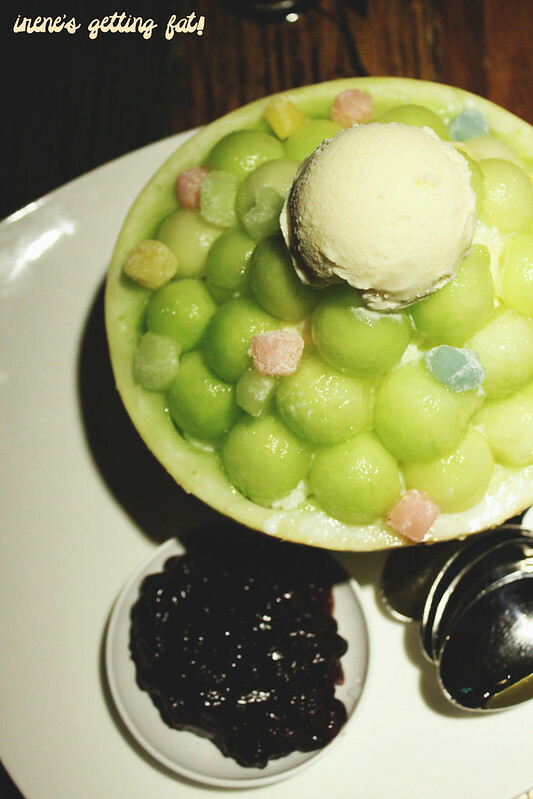 Wow, the melon bingsoo looks really delicious! 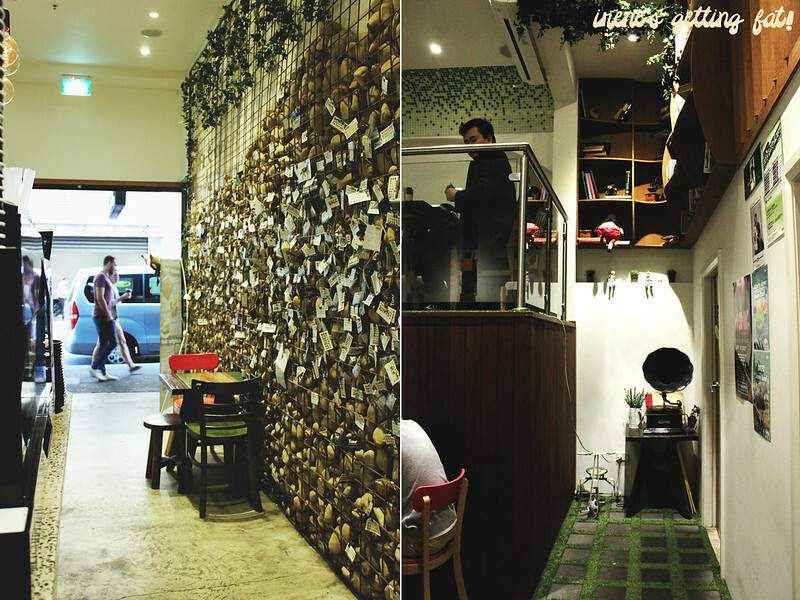 if only they have branch here in Jakarta..